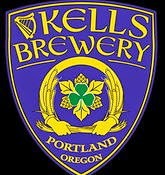 PORTLAND, Ore. – Oct. 23, 2014 – Kells Brew Pub on NW 21st Ave is pleased to announce the addition of Travis Stark as its new head chef. Stark’s first order of business was to refresh the existing menu, adding a variety of new appetizers, salads and entrees. Kells Brewery has been busy expanding its beer lineup as well. Adding to its original offerings of an Irish Lager, Irish Red and Irish Style Pale Ale is an Irish Stout served on nitro using fresh ingredients from the Northwest; and a whiskey-barrel aged red ale that immediately sold out upon its first release and will be released again in December at the Brew Pub. The brewery also has bottling plans in the works: its popular Irish Red Ale will be packaged in 12-oz bottles that will be available in December in time for the holidays. Kells Brewery recently won the Willamette Week Beer Pro/Am People’s Choice and Judge’s Choice award for its Boom Roasters Coffee Milk Stout, a collaboration between homebrewer Natalie Baldwin and Kells head brewer Dave Fleming.